My first inclination, and I think many people would share this sentiment, is to avoid surgical procedures if a non-surgical option for treatment is available. 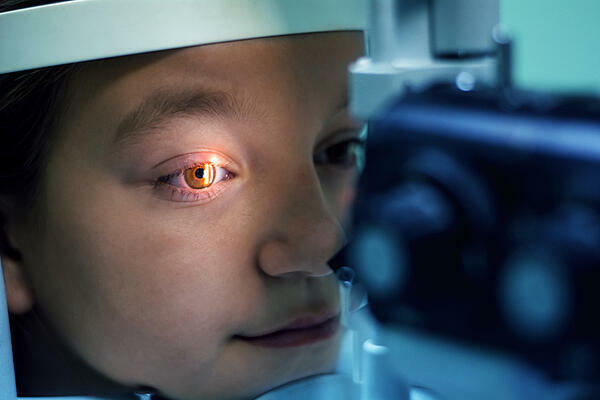 From infection to complications during the surgery, there are many things that can go wrong when you operate, including when you’re attempting to correct strabismus in children through surgery. You would think most people want to avoid the high risk option, but that’s not always the case in our quick-fix society. Many people think going under the knife is the best choice. 1. 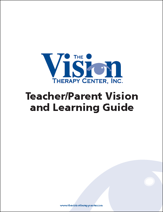 Chances for vision improvement are far greater with vision therapy. An operation for strabismus may help correct the outward appearance of an eye turn, but it will not correct a child’s vision problem as effectively as vision therapy. The results of an eye surgery are often strictly cosmetic, while vision therapy addresses the underlying cause of the strabismus: poorly developed visual skills and an inability to correctly perceive visual space. 2. Risk factors are associated with surgery. According to an article, which appeared on WSJ.com, “more than 30 million operations are performed in the U.S. annually to remove deadly cancers, repair diseased organs and replace worn out joints…The nonprofit institute for Healthcare improvement, which works with hospital to improve the quality of care, estimates that 2.5 million to 3.5 million surgical patients experience unintended harm results from or contributed to by surgical care.” Are all these cases of “unintended harm” strabismus cases? Of course not. But there is no denying that there are risk factors with any surgery. 3. Vision therapy is non-invasive. The worst thing that could happen from vision therapy is that a child may feel a little disoriented as their vision changes. Other than that, this non-invasive procedure poses zero risk of serious infections or other complications associated with surgery. 4. More operations may be necessary. Don’t be surprised if follow-up procedures are necessary for an eye turn. Sue Barry often talks how about she received three operations, and yet did not gain stereoscopic vision until she received vision therapy. Look, we’re not ones to cry “Fire” in a crowded movie theater. But we do believe there is a fundamental problem with choosing an invasive surgical procedure when a non-invasive treatment can more effectively restore functional vision. Naturally, this is a parent’s decision, but make sure you do plenty of research before you make your choice. We also realize that there are cases where surgery is necessary, and we strive to be as objective as possible when discussing your treatment options. If you have a child with strabismus, your first move should be to schedule a Functional Vision Test. It’s a good first step toward choosing the right option for your child.